Excellent Soft Design is soon to release their new game, Come on Baby. Choose from 6 babies and compete in 12+ relay sports games. 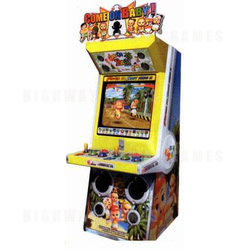 The game features 3D graphics, superior sound and specially designed cabinet. More details will be displayed soon in the product section.